The Shanghai Metro is a rapid transit underground system in Shanghai, China. The economic boom in Shanghai caused a surge in traffic that was beginning to overwhelm the transportation system. Thus, the city’s authorities decided in favour of a 40-year phased programme that would include 11 metro lines covering over 325 km. On 16 October 2013, with the extension of Line 11 into Kunshan, Jiangsu province, Shanghai Metro became the first rapid transit system in China to connect two provincial-level administrative divisions. 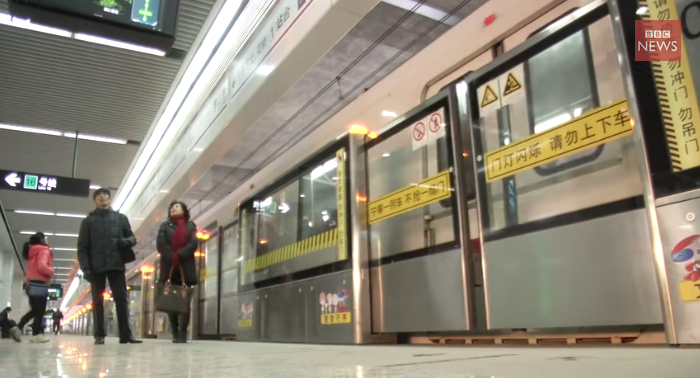 This video, powered by BBC, is about the Shanghai Metro system, the longest underground in the world. It also shows how other Chinese cities, with a similar vision, are busy building their own tunnels.